Gurney Lane has it all in all seasons! 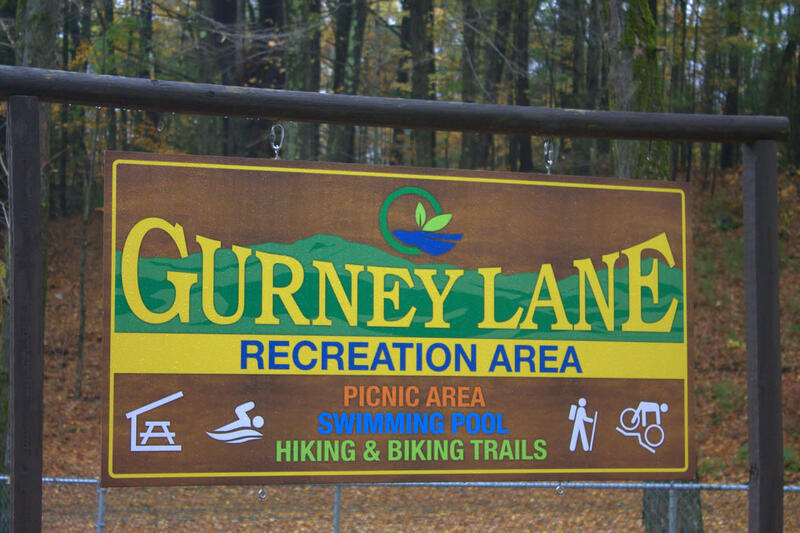 In the middle of a blazing hot summer, Gurney Lane has a 6,200 square foot outdoor pool with a 1,300 square foot shallow area, a playground, a basketball court, a fishing pond, a bathhouse with restrooms and showers, a concession area, picnic tables, and a rental pavilion is available. 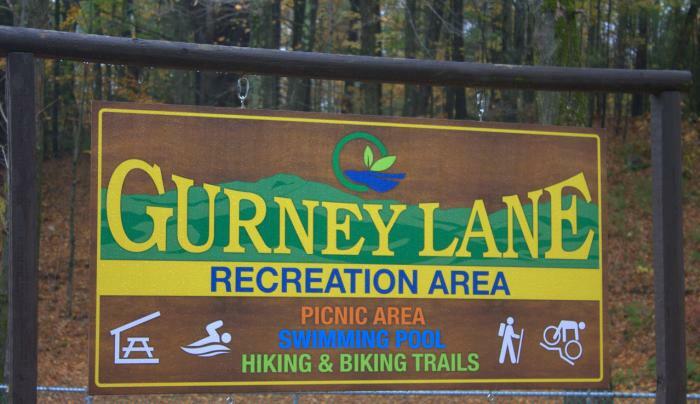 Gurney Lane also has a trail system for hiking, walking and a 22k mountain bike park - 15k of single-track and 7-km of double track trails. In the winter season guests to the park can ice skate, sled, cross-country ski and snowshoe, weather permitting. Leashed dogs are welcome.